Your vehicle is most likely one of the largest investments you’ll make, aside from your home. With the tough winters in Maine, calcium chloride on the roads, not to mention horrific POTHOLES and FROST HEAVES (I just got launched into the air in my pickup this week and landed hard - doing 30mph! ), your vehicle takes a real beating. Getting it checked over each Spring after the winter and Fall to prepare for winter, help to ensure that your vehicle will have the longest life possible. Okay, okay, I know you don’t want to read it, and it IS boring, BUT take a moment to scan it – there is some important stuff in there. Know where your fuses are, where the emergency jack and toolkits are (especially if you have special tools to unlock your hubcaps on some models). Some emergency roadside companies will have universal tools, but not all tools will work on all vehicles. If your vehicle came with one, that tool is the preferred tool of choice to use. As closely as possible. Automobile manufacturers don’t set a maintenance schedule to inconvenience you, and they are not excessive, as I’ve heard people gripe about. This is your investment we are talking about. All things need to be maintained – your home, your lawn, the roads and YES, your automobile. The schedules are intended to be a guide to get you the very most out of your vehicle, plus if you ignore the schedule and don’t follow it, often warranty items can be disallowed. The cost of maintenance is minimal compared to the damage that can be caused if your car is left unmaintained. If you have an interference engine, if your timing belt/chain lets go, your motor may be destroyed. It doesn’t always destroy the engine but is a high risk. 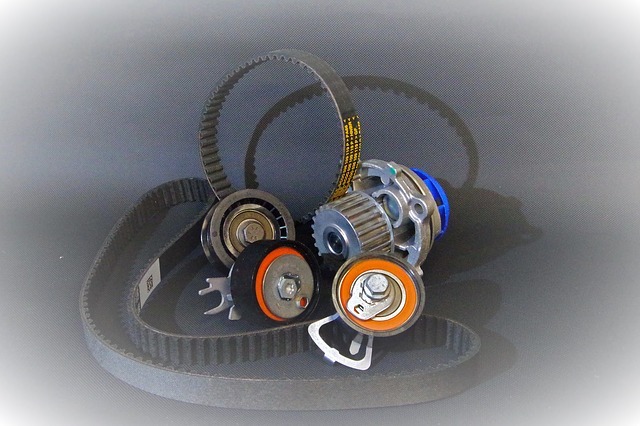 Most vehicles that have an interference engine will have specific mileage noted in the maintenance schedule for a timing belt replacement. This simple kit can prevent that kind of catastrophic damage. Though most people wash their vehicle regularly, often people forget to wash underneath. We live in a state that dumps literally TONS of salt and brine on the road in the late fall, winter and early spring, that does tremendous damage to automobiles. Though it seems a necessary evil to make the roads as safe as possible, some vehicles are literally rotting away, within a few short years. Though some manufacturers have improved some parts such as brake and fuel lines and such, there is only so much that can be done to protect from this onslaught. Take the time to protect your investment. Even if you decide not to keep it after a few years, it will be worth more to sell if you can show a solid history of maintenance and care.